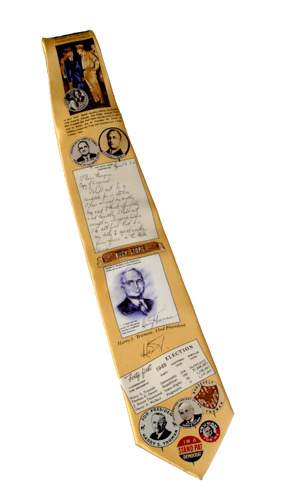 This 100% silk necktie is fully lined and contains an assortment of Truman items including pictures and campaign buttons plus statistics on the 1948 election. Size approx. 58" x 3 7/8"